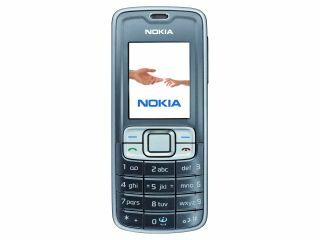 Business mobile users who are cameraphone-shy for security reasons may be attracted to Nokia's new 3109 classic mobile. The Nokia 3109 is designed to be an affordable mobile, with straightforward functionality and durability - plus snap-free corporate security - its key attractions. Office-friendly features include email support with attachment reader, desktop PC synchronisation, and personal information management functions. Bluetooth and USB connectivity are also included. The phone is designed with a large keypad and big 262k-colour display for easy use. On the fun side, it does have a built in MP3 player, and internal memory can be expanded via MicroSD cards (up to 2GB). A speakerphone is built in for sharing tunes or, more likely, business calls. A hefty battery life is part of the spec too - Nokia claims standby time of up to 16 days and 4 hours talktime. The Nokia 3109 will go on sale in the second quarter of 2007 priced at around 140 Euro (£95) SIM-free. "We recognize that a sizeable number of people just want a mobile phone to stay in touch on their own terms," commented John Barry, Director, Mobile Phones, Nokia. "The Nokia 3109 classic offers strong functionality and adheres to certain corporate privacy and security policies."